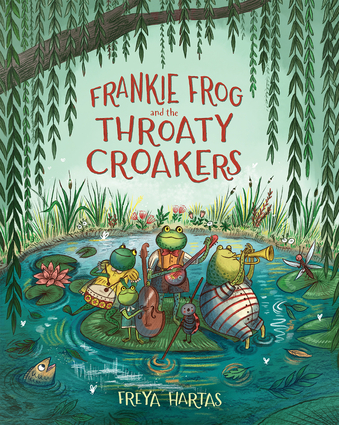 Frankie Frog wants to croak, but he can't! Is there another way for him to find his voice? Freya Hartas is a UK-based children's book author and illustrator living in the vibrant city of Bristol. She graduated from Falmouth University with first class honors in BA Illustration in 2014. She has worked on picture books and a number of books for older children.